Nadeau & Barlow (two Canadians from Quebec) wrote this non-fiction book on French culture and government as an expose of the differences between North American and French mindsets. The book offers really compelling evidence for why the French think the way they do and have organized their society and government the way they have. It was a fascinating read and I really think it is a valuable book regardless of your current perspective on the French and their culture. The underlying thesis of the book is that the French have organized their culture around the centralized state and that in turn is a byproduct of the Catholic influence whereas the community based culture of the Americas is influenced by Protestant theology. 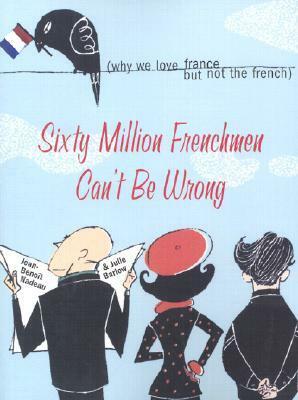 Sign into Goodreads to see if any of your friends have read Sixty Million Frenchmen Can't Be Wrong.